Throughout the spring of my junior year, I was fortunate enough to have to have international relations faculty encourage me to apply to pursue an independent, original research project during my senior year. As such, my senior fall and spring have been academically unique in comparison to your ‘typical’ schedule. Rather than take five courses, I only took four in the fall of 2017 and four during the spring. With the “extra” time, I have taken part in what I view as an opportunity to challenge my own academic limits while simultaneously contributing to meaningful discourse on immigration and South Asian studies. More specifically, my project has utilized oral historical research to better document and understand the experiences, challenges, triumphs, fears and dreams that South Asian students have experienced and continue to experience while studying in the United States. Unsurprising to most SJU students given the incredible access we have to university faculty and staff, a particularly beneficial aspect of this project has been working with my thesis advisor(s) Dr. Amber Abbas, assistant professor of history and Dr. Richard Gioioso, assistant professor of political science. With the help of my advisors, I did my best to connect with relevant research regarding South Asian migration as well as attended conferences that informed my research topic. In addition, I became more well versed in the world of oral history. 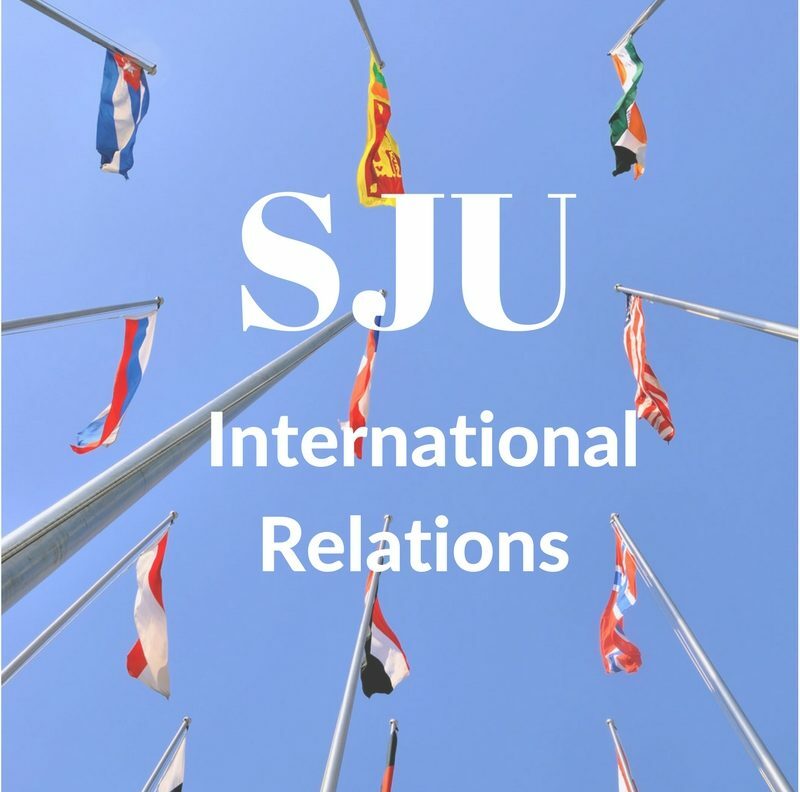 For those of you who do not know (I certainly did not before coming to SJU) oral history utilizes in-depth oral interviews to document the histories of individuals. In my case, I am documenting Saint Joseph’s University experiences migrating and transitioning to U.S. society from India and Pakistan. The most exciting part of this research has been to actually interview students on our campus. Thus far, I have sat down and talked to 6 students for about 1.5 hours each and learned about the fantastically unique ebbs and flows of their lives. Most of my interviews begin by setting the context of their lives. I ask about their families, where they are from, who they are and what they value. I then inquire about their decision to come to the United States as well as the many memories and emotions associated with their first few days in the United States. Of course, as any good IR major will surely expect, my questions and conversations have been informed by the arduous but critical background research that I undertook with the help of my advisors. Although the project is time consuming (perhaps more so than many of my classes) it has pushed me to hold myself accountable academically even when I am not being graded and evaluated in the classroom. It has also taken me into the world of academia, teaching me the necessary steps and considerations that must occur when doing original research with human subjects. Furthermore, working with individuals like my professors who are experts on migration and South Asian studies has pushed me to think more critically and work harder to create original research that is both meaningful and deeply considered. Most importantly, this project has also given me the incredible opportunity to expand my interests on a critically important and timely topic. Although I have always been interested in immigration and migration studies, interviewing Indian students at Saint Joseph’s attending school on an academic visa has given me a more nuanced and reflective perspective on what it means not only to exist but also to belong in U.S. society. Lastly, I am so thankful that my incredible community at Saint Joseph’s encouraged me to pursue this project and supported me throughout the process. While this community is not the only reason I will miss Saint Joseph’s, I am constantly amazed at the generosity with which they support my goals, push me outside of my comfort zone and devote themselves to ensuring that I am achieving my full potential. Although this is a one-year project, it has resulted from my multiple experiences studying in India as well as my engaging research-based classes and even my many internship opportunities. My honors thesis is simply the culmination of every ounce of constructive criticism, encouragement and support that I have received since enrolling in international relations in 2014. It is with gratitude and acknowledgement of this fact that I will (hopefully) defend my thesis and graduate in a few short months.